Rhodochrosite is a manganese carbonate and comes in a variety of shades from pink rose to red. 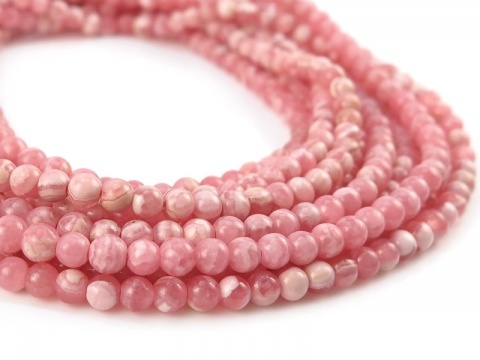 Opaque pink and white banded stones are abundant but transparent stones are rare. 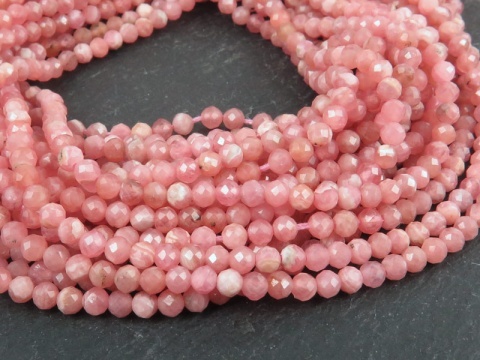 This is the best quality rhodochrosite we are able to source and is not treated. Hardness: 4 (Mohs).